John S. Eddie of Zicron Software writes in about how Getting Real helped him release his first iPhone application: Years [iTMS link]. I just wanted to express how thankful I am for the great advise you have given in your book Getting Real, and also through your blog and other public events. Even though your book states ' ...web applications' I find a lot of the advise transcends to other development environments. Reading Getting Real gave me the motivation to leave my full time job and start my own company. I have just released my first iPhone application: Years. Before I began the project I sketched out all my ideas and played around with some prototypes before eventually starting the development. I concentrated on two main features that I tried to do really well. I think it really helped build a very functional application. One of the aims of Years was to build an application that is extremely easy to use. Looking at Years you will find that I made some opinions about how it would be used - I could easily have just implemented a settings screen. I fully appreciate that some people may want options but until there is a crowd the application will remain as simple and elegant as it is now. I expect the application to be driven forward by it's users when enough people shout about a feature I will give it careful consideration for a future update. I launched early so that I could get customer feedback quickly while I work on the remaining features that I have planned. I'm looking forward seeing how customers make use of the scribble feature, perhaps they will help improve it in ways I could never imagine. Once again thank you for sharing your wisdom with the world. I'm really looking forward to the release of your new book. 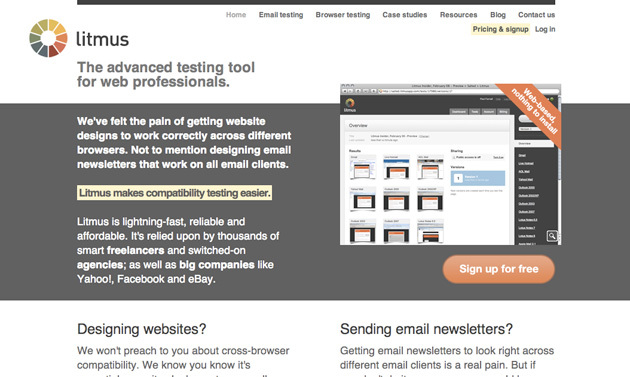 Litmus helps web designers run compatibility tests on their website and HTML email designs. It began as a side project. A prototype running on computers under my desk at university five years ago. Now we have thousands of customers, revenue of over $1m and six people on the team. My first taste of Getting Real was at the Building of Basecamp workshop in Copenhagen. It was an eye opener for me. Here's a few things we adopted. Litmus was built to be the antithesis of the other services that existed in this space. Their services were clunky, over-engineered and under-designed. We stripped out features, picked defaults that made sense, and kept the flow as simple as possible. It was liberating. We had 3 people and £500 ($800) to build a version one. We worked in our spare time. We hosted the servers in my university room. We used old computers and licenses donated by friends and family. As we've grown we've tried to keep these constraints in place, even if they're now somewhat artificial. We religiously justify every expense to see if it'll directly help us make more money. Our product direction changed significantly within the first two years. We started by offering a cross-browser testing service. Then people asked us for email testing. Then email service providers (like Campaign Monitor) wanted to integrate our testing into their products. Staying small and lean made this easier to do. We've turned down outside investment. We've done it on our own terms. It's been steady, organic growth over the past five years. And we've loved every minute of it. Today we're working on things that no other companies in this space are doing. It's exciting. We're staying small, focussed and agile. And we're proud of that. Getting Real has played a large part in getting us where we are today. I hope that by sharing some of our experiences it'll inspire others to try taking this path. It's incredibly rewarding. The book is AWESOME. Really, if you are building, have built, or work on ANY product (web-based or not) you must read this book. I could have titled this “50 Takeaways” and gone on much longer, there is just so much good content in this book. It’s short, to the point, and is a great way to find some inspiration and new ideas to give you a little extra hop in your step. Please, go read it now: Getting Real. When I first launched BSA I was working another full-time job. And, being the honest chap that I am I could only work on BSA before 9am and after 7pm (I was at another startup that I was truly passionate about too, so it wasn’t the standard 9-5). That meant waking up at 5 or 5:30 and answering support emails, all of them, and then working on the site late at night. Having those time and bandwidth constraints forced me to be really good at solving problems quickly. Which, in turn, helped set the pace for quality support here at BSA. Who cares if it’s NOT going to scale - worry about that when you get there. Surely, if you need to scale your app because it’s growing quickly and bursting at the seams, you will figure it out. Do you think we planned to serve billions of impressions per month when we first launched BSA? No way, but it became a possibility very quickly and we then figured out how to scale (and we’re still figuring out how to scale it beyond that now). Read the full piece for more. On Ferriss' list: Getting Real. He says, "It has the potential to change your life and your business...It does have a software focus but all of it can be applied to entrepreneurs in general." "Getting Real was a pivotal read for me and my business partners"
I just wanted to drop a note and thank you for writing Getting Real. I can't say I've ever been someone to champion a book or to change the way I operate based on one. That said I have to say that Getting Real was a pivotal read for me and my business partners. The first time I read the book I had many a tearful laugh, having experienced the pitfalls of not Getting Real first hand. As my partners (Justin Cooper and Lucas Tirigall-Caste) and I developed our new enterprise we were able to adhere to many of the precepts of the book, from both the business and software standpoint. At crucial points in the development of our platform we held true to much of the great common sense in it. Recently we launched our new company, a platform to create unique opportunities for artists and creative people, called Society6. Our proudest moments have been when new members tell us how simple the site is and we remark to one another about how many features we were disciplined enough to NOT put it into it. extendr.com founders: Getting Real is "a crux component to our success"
Getting Real concepts played key roles in framing our thinking regarding web development as we built and continue to build extendr.com and other web applications. We had an idea for an optimized search results service that our friends thought was worth building. We figured if they wanted it and offered to pay us for it maybe others would too. We just had to find away to build it. Enter the conceptual framework of Getting Real and the utility of Basecamp. First off the subtitle of Getting Real hooked us. We wanted smarter, faster, easier ways to build our successful web applications. Who wouldn't? The most powerful and challenging concept that never seems to be complete is "Build Less." It takes a ton of work and time to decide what is essential. However, don't worry, it's a crux component to our success. We both work day jobs and we live 30 minutes from each other so meeting up all the time late at night was not an option. Further, we often work on a time shift (i.e. we're not working at the same time of day). Therefore we had a need for dynamic digital list making and management. We needed a way to past notes to each other. We use your concepts and web tools nearly every day and are delighted by their simple solid utility. Thanks for making great stuff. Hopefully we're on the opposite side of the spectrum as Enron! Learn about our approach to marketing in our book Getting Real. "Getting Real helped us build ProofHQ on a $15,000 budget and bootstrap to breakeven"
We used Basecamp to run our product development. You may remember that we also integrated our own product with Basecamp so that designers can add rich review and approval capability to Basecamp projects. It's been a huge success. Nearly 30% of our clients are Basecamp users. I saw the post on LILO and wanted to let you know how much that resonated with our story and how much Getting Real influenced us. It helped us build ProofHQ on a $15,000 budget and bootstrap to breakeven. 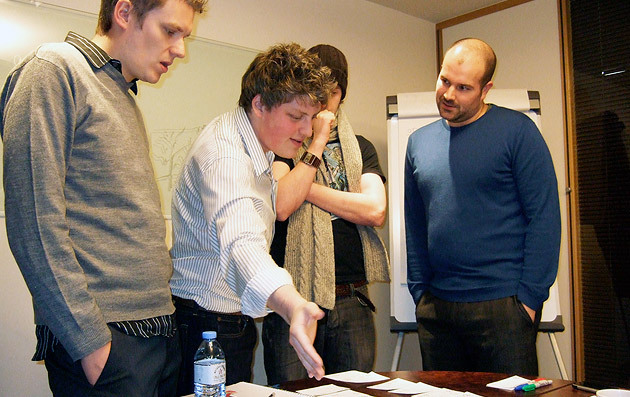 We started work on ProofHQ in Jan 2007 and I bought Getting Real on 15 March 2007. Although I had founded a tech start-up before, Getting Real summed up exactly how I wanted ProofHQ to be run. Frankly, it was an inspiration then, and continues to be today. That's not to say that we agree with everything in it, but the main themes ring so true. We built ProofHQ to solve one of the biggest problems that we had faced in previous jobs - getting graphic and web design reviewed collaboratively. We now use ProofHQ every day all day to manage design of our own app, so we really did build it for ourselves. This was a key lesson - USE YOUR OWN PRODUCT. We decided to fund development organically. My last start-up raised a lot of VC, so this time we wanted to try a low-burn approach. We focussed our own efforts on core R&D (there is some cool image conversion and streaming technology under the hood), but we outsourced our design, corporate ID and non-core web application work via Elance and 99Designs. We spent a total of $15,000 getting to Beta in Jan 2008. VC IS NOT THE FIRST OR ONLY OPTION. HAVE A MANTRA - Our mantra from day one was that the in design and marketing bad process kills great creative. Every designer, design firm and marketing team strives to deliver great creative, but with inefficient processes even the best creative gets undermined. Our aim was to focus on one small but very common area of marketing process... getting design reviewed and approved. 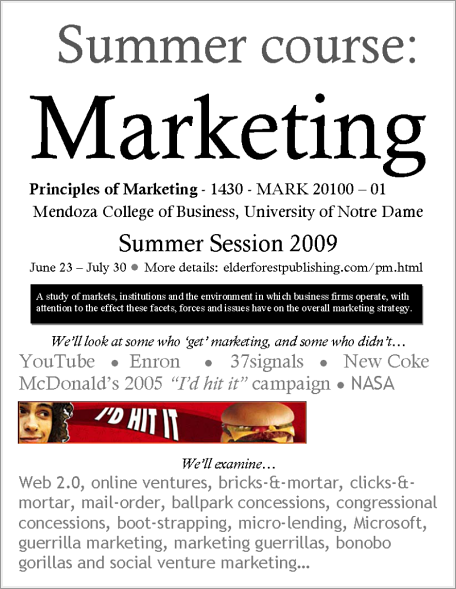 Back in 2007 it was sometimes hard to get heard as marketing budgets were still big, but in 2009 that is a message that resonates loud and clear. 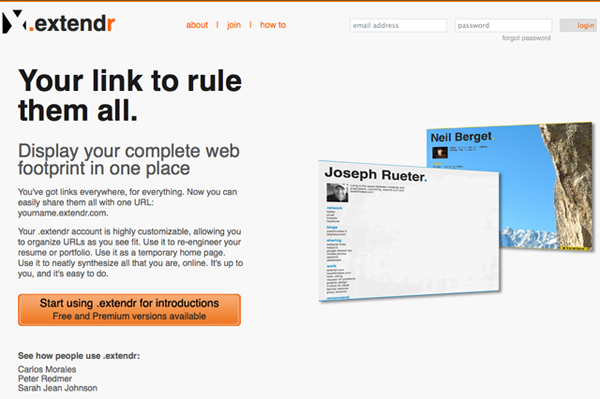 We launched in May 2008. By November 2008 our revenues exceeded operating costs for the first time and we just broke even. All this has been possible by keeping the team small, keeping our costs low and moving fast. Well I could go on and on, but it's great that 37s has had an influence on us in so many ways. Do you have a Getting Real success story? Let us know. MotorMouths: "Getting Real was an amazing resource for us"
Time Magazine: "Get Rich Slow" profiles LILO companies (i.e. "a little in, a lot out"). At no other time in recent history has it been easier or cheaper to start a new kind of company. Possibly a very profitable company. Let's call these start-ups LILOs, for 'a little in, a lot out.' These are Web-based businesses that cost almost nothing to get off the ground yet can turn into great moneymakers (if you work hard and are patient). 37signals.com and Ruby on Rails get brief shoutouts in the article. Most of the article profiles MotorMouths, a web startup whose founder chimed in on the Signal vs. Noise post about the article. I’m the founder of MotorMouths, from the Time article linked above. As I hope is made clear from the piece, Getting Real was an amazing resource for us. Also, we continue to rely on Basecamp to virtually manage the company. And RoR to power the thing. And don’t get me started on how much inspiration I stole from the tales tucked away in the SvN archives. Thanks guys! Great to hear. These success stories are going to flood the press over the next few years. This is where it's at. Thin is in. Our new book, coming along nicely by the way, will be a great guide to starting and running these kinds of businesses. 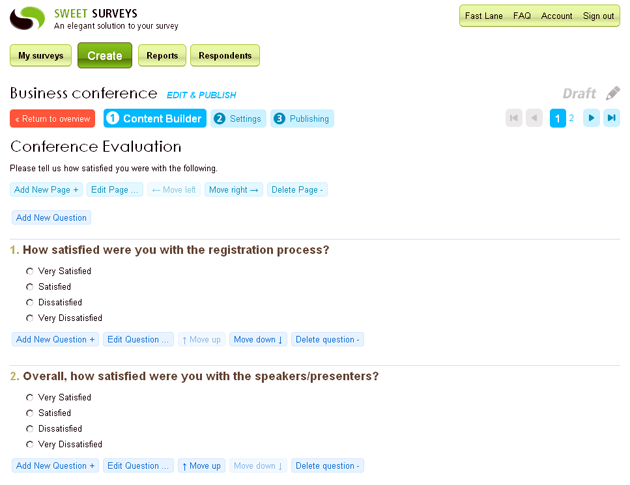 "Getting Real changed our point of view on how web applications (and a company) should look and function"
Sweet Surveys is a web-based application for creating, publishing and analyzing online surveys and questionnaires. It makes an excellent choice for both small and large companies, who want to get valuable information from their employees, customers, business partners or conference attendees. Before we started putting together Sweet Surveys, we were told about the book Getting Real. The book completely changed our point of view on how web applications (and a company) should look and function. Before reading it, we strongly believed that a web application should have as many features as possible and that all customers' needs should be satisfied. Saying 'no' to them was out of the question. But fortunately for us, we have a very good programmer who is also a very clever guy. Janko told us that the 'satisfying every customer' approach is not a good idea. And he gave us a book. After reading just a few lines, we realized that the 'Getting Real' approach was the right one, even if it contradicted the things we previously believed in. We were thrilled about the book. Getting Real became our company map at Sweet Surveys. We always set our own course, of course, but it helps when we're not exactly sure which road to take. The Sweet Surveys team would like to express our deepest thanks to 37signals for giving such a practical book to the community. It is an inspiration to companies worldwide. And the entire book is good — not just some select parts. Without it, Sweet Surveys couldnít be as simple and sweet as it is. We strongly recommend it to everyone whoís realized that the old rules don't apply anymore. And it's true what the authors say: Once you start Getting Real in one area of your life, you'll see how these concepts can apply to a wide range of activities. Creating a new survey with the 3-step survey creation wizard.